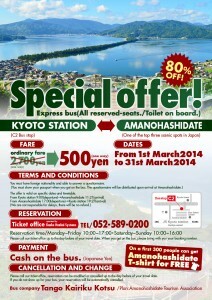 For only foreign nationals, 500yen(one-way) bus from Kyoto to Amanohashidate in March. 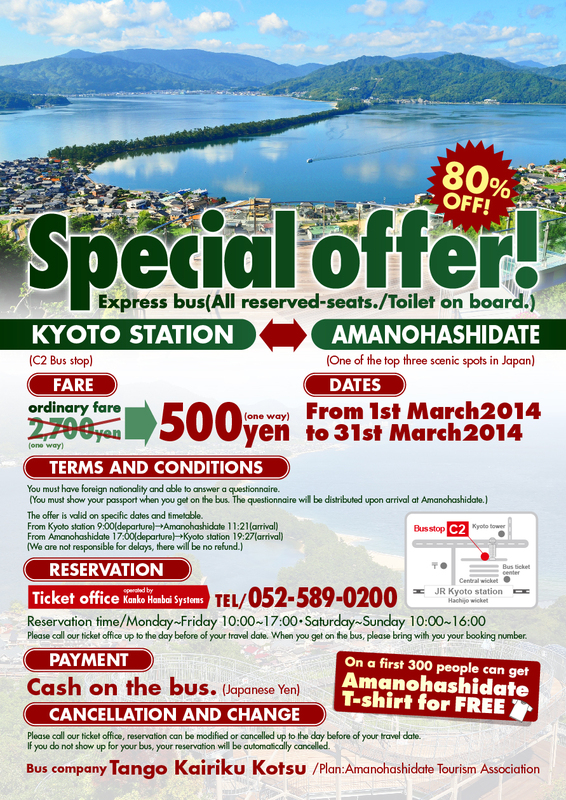 Please read the offer details from the ad. attached. Copyright © Charoku Bekkan All Right Reserved.